Pauline Vickers fully grasped those opportunities in 1979, when she became Pauline Black, the front woman of Coventry two tone group The Selecter. Dressed in what became her signature black jacket, rude boy check shirt, black tie and grey fedora, she led the seven piece to success with a string of singles – 1979’s ‘On My Radio’, 1980’s ‘Three Minute Hero’ and ‘Missing Words’ – and two albums 1980’s Too Much Pressure which hit the Top 5 and 1981’s Celebrate The Bullet. When the group split the following year, she recorded a single ‘Pirates Of The Airwaves’ with Lynval Golding and Neville Staples’ post Fun Boy 3 band, Sunday Best. She then helmed a one-woman show Let Them Call It Jazz, played Billie Holiday on stage in the play All Or Nothing At All, which she won a Time Out Award for Best Actress in 1991, then reformed a reconfigured Selecter later that same year. She reunited another line-up in 2010, published her autobiography Black By Design in 2011 and last month issued The Selecter’s 13th album Daylight. 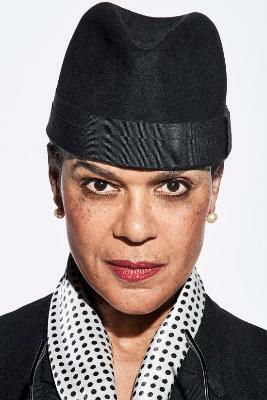 To begin reading Pauline Black's Baker's Dozen, click the image of her below.